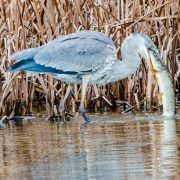 Had the opportunity to shoot two different Great Blue Herons enjoying a shore side lunch this week. 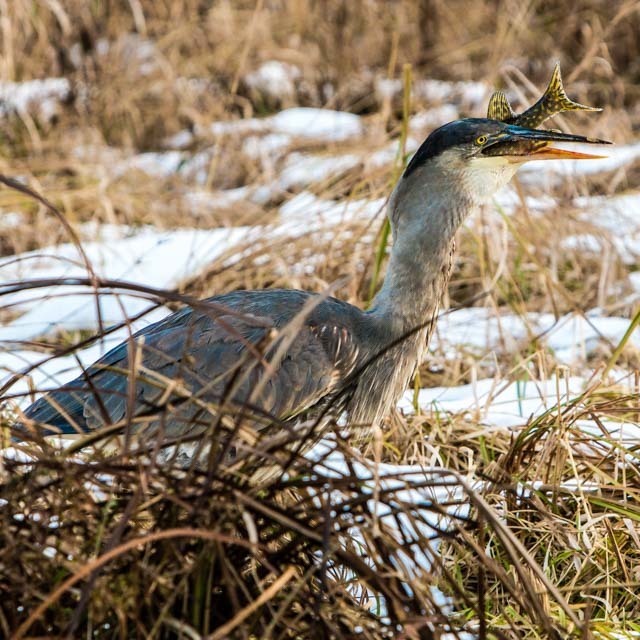 I have never seen this before a Heron eating a Pike, but in less that one week it happened on two separate occasions. 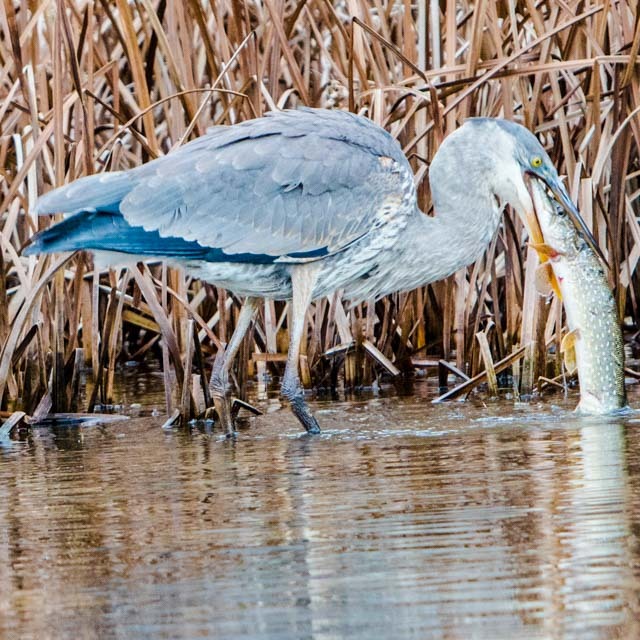 Great Blue Herons now have my attention to say the least with how they hunt and how effective they are. They can really do a number on a fishery. I thought they really only targeted smaller fish and smaller amphibians. But that is not the case. Down the hatch it goes, another Pike meets his maker. Blue Heron trying to figure out how to slurp down a pike.